Its not easy or even possible to find good quality or REAL IC chips on seller sites like Amazon, Ebay, Ore Alibaba. if you want the real thing, you will have to go to sites like Digikey, Mouser. as they are the official distributors of Several chip manufactuers and will most likely not have a slew of fake chips for your final product or prototyping. Let us start with something i discovered when looking over some chips i purchased from radio Shack, only months before the store near me went into liquidation (it ws still an active store). the other night, i decided to look over all the different 555/556 chips i had in my storage. before i go too much into what i found, have a look at this site, then see where i doubt that any of my chips are real. I would hope the ones i got from Adafruit are real, but i cant find any confirmation of what a real one looks like. the saddest part of it all, Radio Shack sold the .25c FAKE items for a markup that would make a fountain drink dispenser blush. 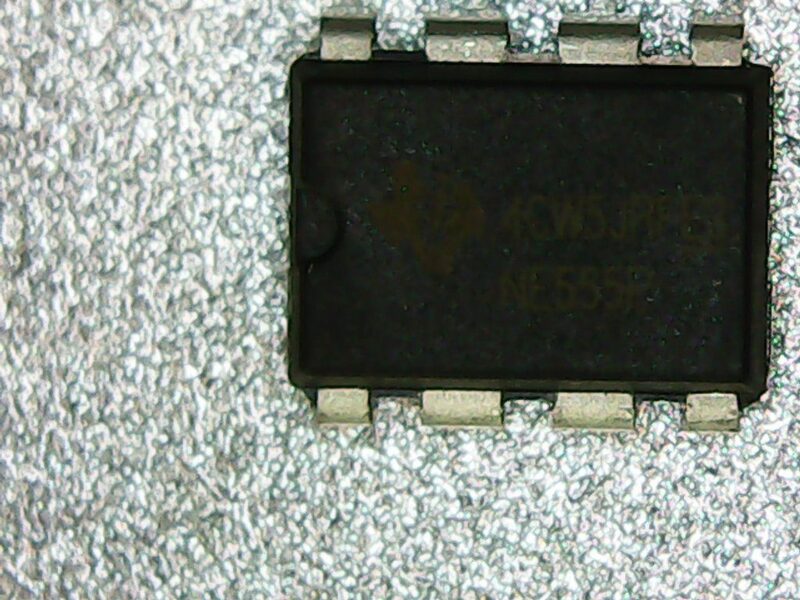 labeled as 556 (dual 555) purchased from Radio Shack, the original chip has been scrubbed so this may not even be a timer or from TI. same as above, purchased on the same day, from the same bin. When you buy one of those 50pk 555 for 8$ from ebay/amazon/Shenzhen, you are NOT getting the real thing, they may kinda look legit, but no. 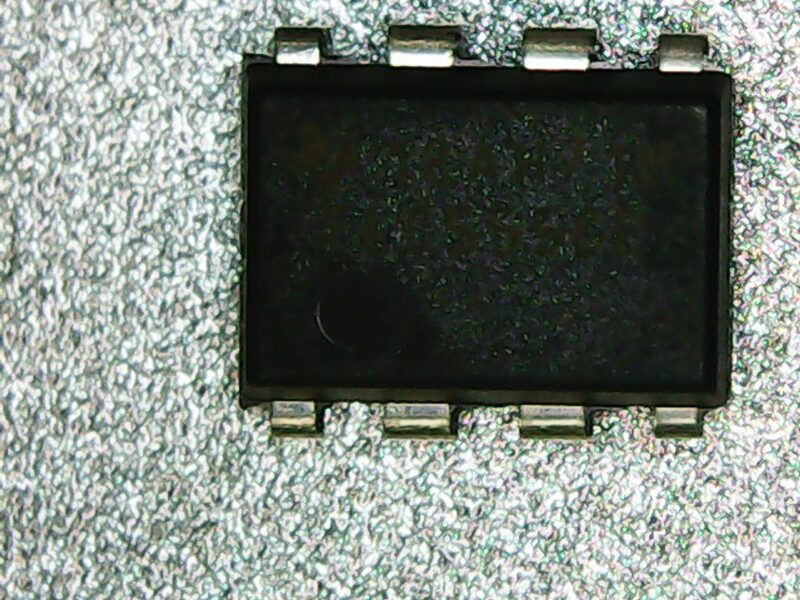 some people have claimed these scrubbed chips are far from a 555, but in fact may be cheap op amps. 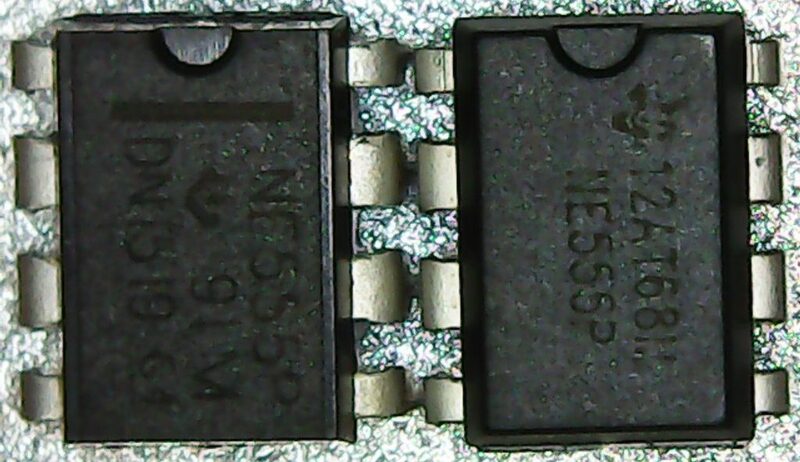 Left: 1 of the 50pk 555 chip — Right: Purchased from Adafruit and the closest thing i can find to being a real ne555p IC since supposedly they get their stock from official sources. In short, im going to see if there is an easier way to get the word out about fake chips of any type, and it would be a good thing if Chip makers had more than this joke of a page. come on TI, bang the rocks together and let us help you get real devices to users. 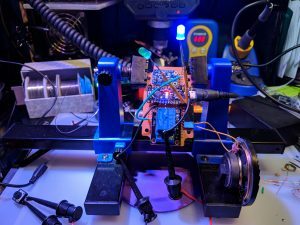 this is sort of a rant post, more of a “we need to make it easier to get maker tools and supplies for those starting out, or those prototyping the next big thing noone can live without.” We also need to call out those sellers that sell fake chips, and make it harder for them waste your time. 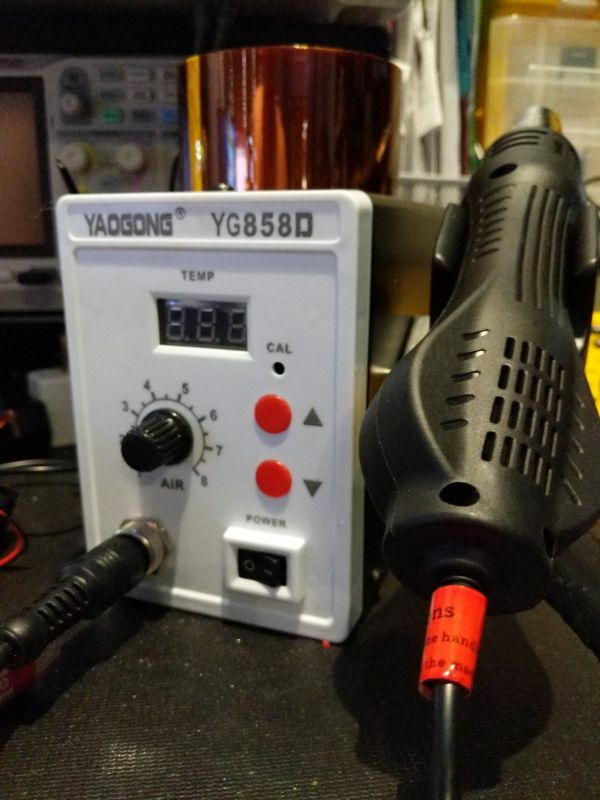 my quick assessment of a “cheap” Yaugong hot air/rework station i received recently. I’m not going to discount those vids, maybe i got lucky and went with a different brand that appears to have some safety updates and fixes to issues i saw in many of those review posts/vids. it appears the device has better grounding than older versions and it checks out. 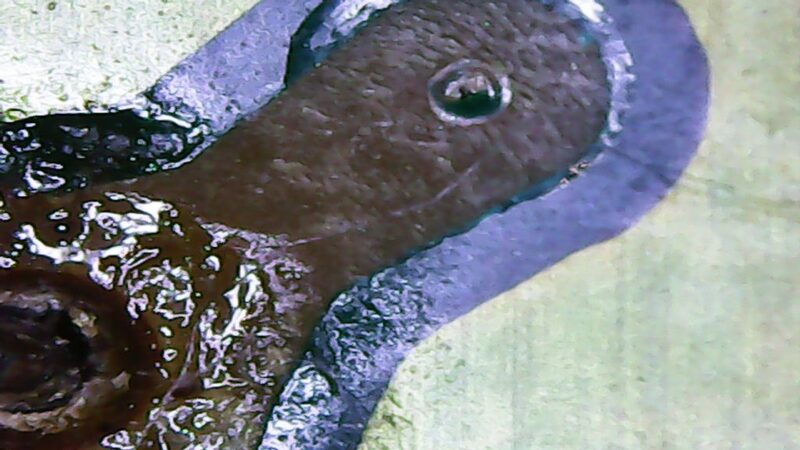 checked ground pin, to chassi to nozzle to the plug that is in the back. 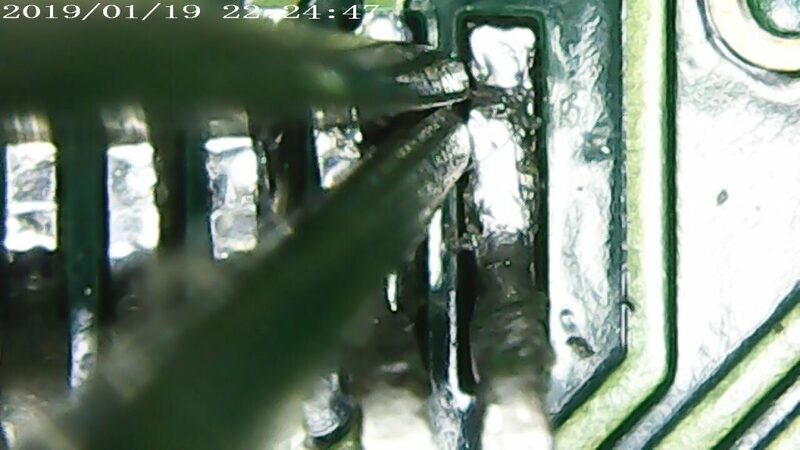 the wires are still soldered and not crimped. the transformer seems a bit small for its use so it looks like a “bare minimum” rated trans, nothing more. Its a common generic rework station that can be had for around 50$US and is just rebranded by loads of companies. this version has some safety improvements but i would say if you do the occasional hot air work, this is fine. If you are going to be using more than a few hours a day for a long duration, look at something that has better quality/safety checks like hakko, quick, or weller. 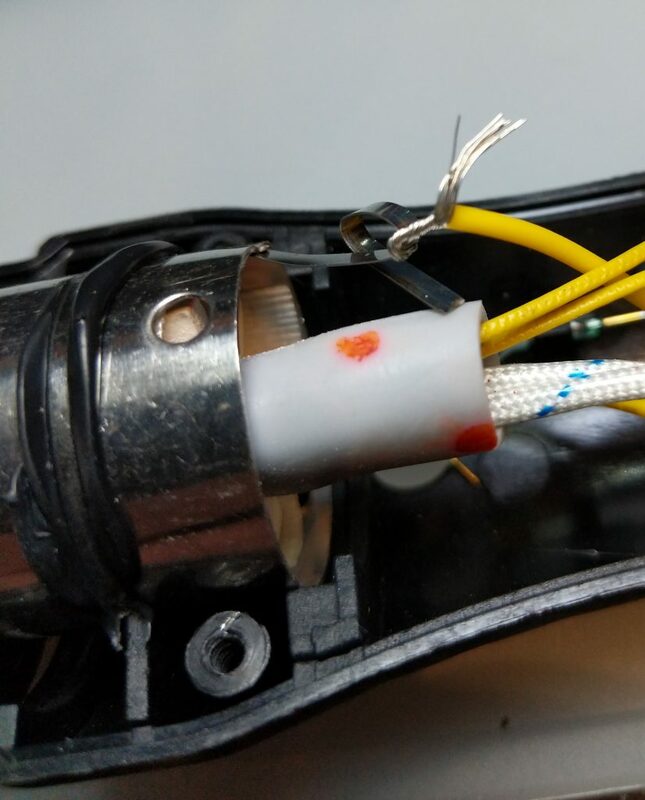 UPDATE: so, pulled the heat wand apart, and the grounding to the actual metal end was … well, sad, i found a small tab of metal soldered to the hot end, and a wire twisted around it. not the most reliable connections. never going to get a UL stamp. if you have actually read this and would like to contribute, or have ideas to get this going… contact me. I think it would be fun, and a good learning tool for beginners. in my pile of not working but will one day, sat my Amiga 1200, between moving with it from New Orleans >Houston>New Orleans and it getting many hours of use, it stopped working. found two reason why, it was the accelerator card which dragged it from a blazing 14.### Mhz to a screaming 28.### Mhz (oh the raw power) and added a huge 8Megs of brutal fast memory. 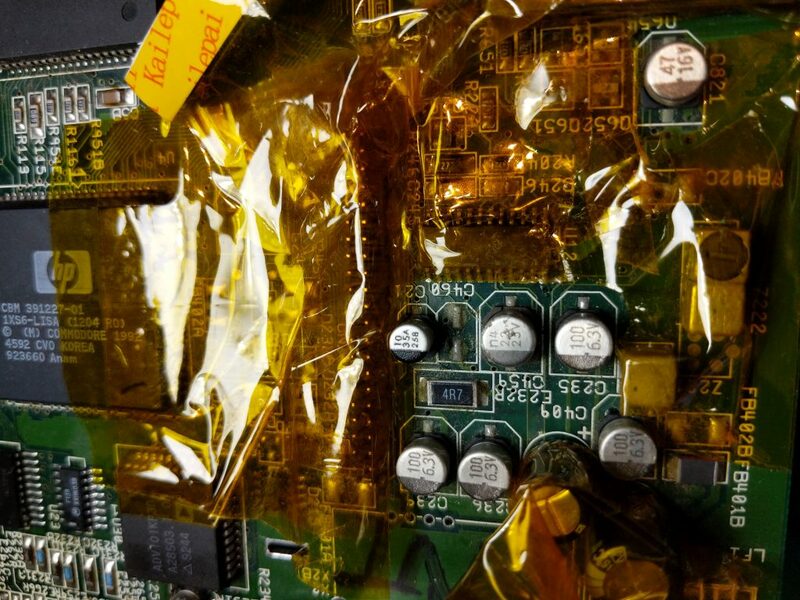 can you smell the sarcasm compared to today’s Ghz standards? 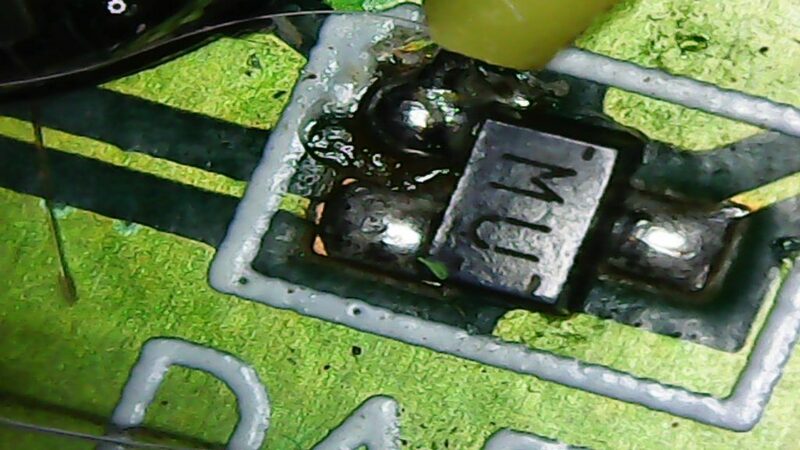 The other reason was.. please dont laugh, i had a penny in the RTC battery slot. i have no idea why i thought that was a good things to do instead of buying a battery that fit. it worked like that for many years so i cant call it too silly of an idea. 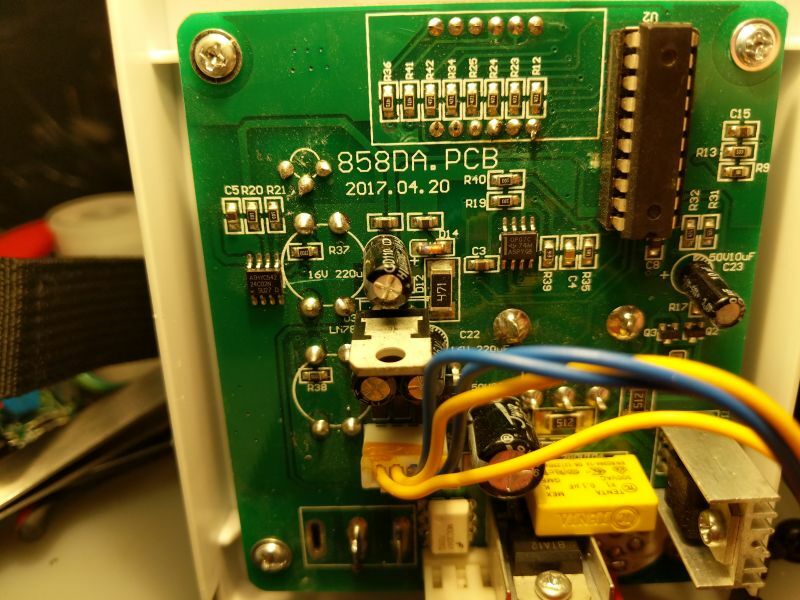 the the 68030 chip had damaged pins, i dont know how that happened, and it must have been broken when removing the card at one point (maybe to put that penny in the battery holder) anyway. i carefully bent those pins back down to the pads (still intact) and carefully resoldered the 3 broken points. after putting the card back in, i booted up with the 80M harddrive i put into it years ago, and started my nostalga run. all is not perfect, the sound barely works, and investigation points to the need to replace all of the old capacitors, so that project is now in its early stages and will be carried out AFTER i get ALL of my Amiga floppies to a modern medium since my 1200 never had TCP access. Im waiting on a kit that will use the PCMCIA card as a mass storage device so i can do a backup of everything. 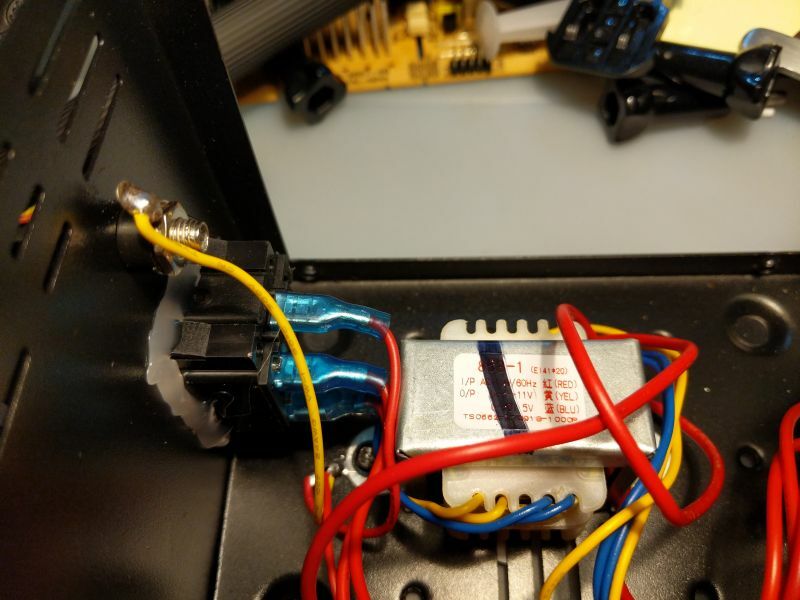 The internal floppy drives has issues, but im going to use the external on i have for as long as i can before opening the computer again. 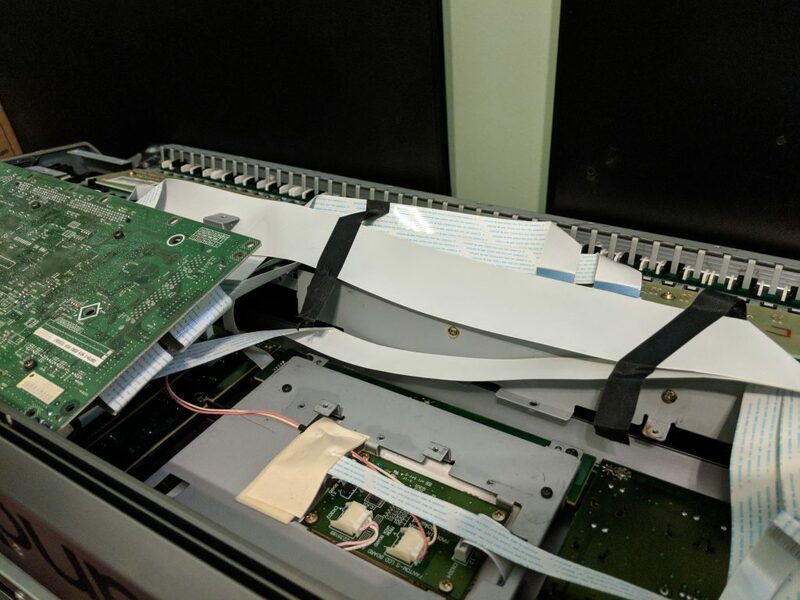 if the external fails, i have already done the “MOD” to to old PC floppy drives that should allow them to be dropped in if needed (untested). in the meantime while waiting for parts to arrive, im also running a PC based emulator with the exact configuration and accelerator card as my real thing that can be loaded from my home file server. i will be making a raspberry pi version to hopefully replace the need to run the hardware (glass case pedestal time) and cram it into a mockup of the Amiga 1200 power “brick”. an acquaintance of mine gave me an Amiga 500 and loads of amiga video editing gear and software. i haven’t even powered it on and have no idea if any of it works. i dont know what i will do with it. maybe try to upgrade it and use it… one day.